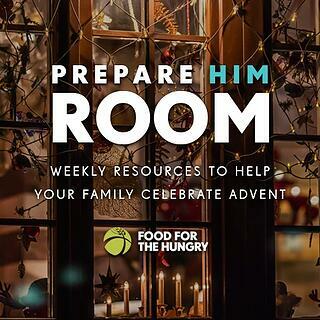 In celebration of the Advent season and the deep joy that comes with celebrating the birth of Jesus Christ, Food for the Hungry has created this free eBook to help you celebrate Christmas with your family in a way that goes deeper than bright lights and fancy presents. life. Then celebrate Christmas with a Scripture and devotional that focuses on Jesus, our LIGHT OF THE WORLD!